I have been asked if I would describe the circumstances which led to my having the opportunity of studying intensively with Madame Kschessinska, both before and shortly after the War. I do so with great pleasure. I have to say that I look back to both these periods with the deepest affection and gratitude. I was eleven years old when I was accepted into the Vic-Wells School of Ballet (later to become known as the Royal Ballet School) and these classes took place at the Sadler’s Wells Theatre in London. 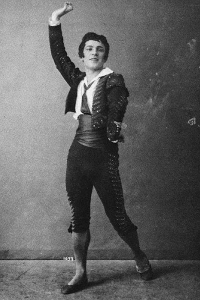 However, unlike the Royal Ballet School of today, there was not then any provision for a general education; indeed, there were very few pupils attending theses classes who were under school-leaving age. So after about a year, my parents felt that the little schooling I was able to fit into the daily schedule, was insufficient. They began to consider the possibility of sending me to Paris where I could learn French as well studying other subjects. “At least she should learn French” my parents declared. It also seems that my education was not the only concern. My parents were equally keen to learn whether I had exceptional talent as a dancer; they wondered, in fact, it they were justified to be spending so much money so that I could dance. My mother finally came to the conclusion that the only way to really find out was to take a temporary measure of pleading poverty! So with this in mind, she took me to Paris and managed to persuade Serge Lifar (who was then Director of the Ballet at the Paris Opera) to audition me with a view of giving his candid opinion about my possible prospects “in view of very difficult financial circumstances”. “You have come all the way from England?” he enquired, incredulously. “All right, I’ll see her.” So the next day, all three of us met at the stage door and we proceeded to climb the stairs to the rehearsal room at the top of the Opera House. I recall that I was completely overwhelmed! Not only did I find myself in the round studio with the “port hole” windows where Degas had painted so many of his pictures, but I was now face to face with a great and famous dancer, very foreign looking and, to my eyes, the most fascinating man I had ever met! He took me through some barre work, then centre practice, followed by adage and allegro; then finally asked me if I could show him a dance that I had learned. “Where should she learn?,” was my mother’s request. So he wrote down the names of the three most famous studios in Paris: Preobrajenska, Kschessinska and Egorova. Kschessinska was chosen, so he phoned her and made arrangements for me to join a class the following day with the possibility that she might accept me in her school without payment. Now came my mother’s triumphant revelation, “We are not rich,” she explained truthfully, “but we can afford to pay! It was just that I wanted to know your true opinions!” “Ah, you are a very clever lady!” exclaimed Lifar with a grin. They were all smiling with amusement, clearly relieved at the outcome, myself included. In fact, the rate of exchange just before the War was very favourable to the British: (although comparatively few people from the British Isles travelled abroad in those days). Kschessinka’s fees, for example, were only half those of the Vic-Wells School. 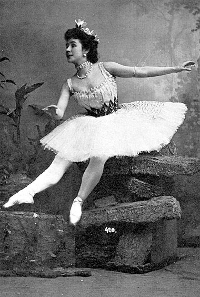 Mathilde Kschessinska was, of course, famous as the Prima Ballerina Assoluta of the Maryinsky Theatre in Saint-Petersburg. Now, in exile and married to the Grand Duke André, she was in private life H.S.H. la Princesse Romanovsky-Krasinsky. At the time of this first encounter with la Princesse (as she was always referred to and called by her pupils), the Grand Duke was also present. Discussions soon turned to the original problem about my schooling and where to stay. “Beryl will be working very hard indeed, so it will be essential that she gets very good food,” declared la Princesse. It was then that the Grand Duke suggested that my staying in the household of Prince and Princesse Mestchersky might be a happy solution, because it was from this household that Princesse Mestchersky ran a finishing school for young ladies and the tutor catered for the individual needs of the students. And so it turned out to be that although I was so much younger than the other girls, a room in this household was indeed found for me with very happy consequences. 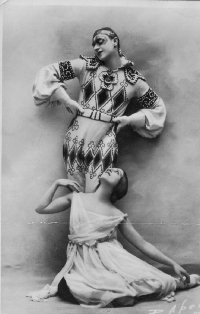 But first to return to London and the beginning of my last term at Sadler’s Wells; also to consult Miss de Valois as she was then called (later, as Founder of the Royal Ballet, she was to be honoured with the title of Dame Ninette de Valois). The educational aspect of my parents’ concerns was presented to her, especially the idea that I was to learn French. She who spoke French fluently, herself, was sympathetic to the concern and she also opined that attending Kschessinska’s classes could not have been a better choice. “And Beryl may return to us anytime,” she added reassuringly. And so began an opportunity to work really hard under Kschessinska’s regime which also included my having double-work lessons, partnered by Anatole Oboukov. In the summer of 1947 I visited her studio again and she remarked with satisfaction that I had not forgotten anything that she had taught me, before the War. She then proceeded to give me the most inspirational lessons on repertoire. These included the whole of the second act of Giselle, finding me a partner (Kirieff) for this. We also rehearsed the grand pas de deux from Le Lac des Cygnes, Les Syphides and La Belle au Bois Dormant. I had the distinct impression that this was the type of work she enjoyed doing most: teaching a younger generation the roles with which she herself had been so familiar. It is little wonder, therefore, that my whole association with Kschessinska has remained one of the most cherished memories of my life.